As the offensive on Raqqa intensifies, stories of the horrors that civilians, especially children, have endured under Islamic State rule are emerging. The Islamic State group seized Raqqa in January 2014, and the city is now besieged by US and Syrian Democratic Forces coalition troops. 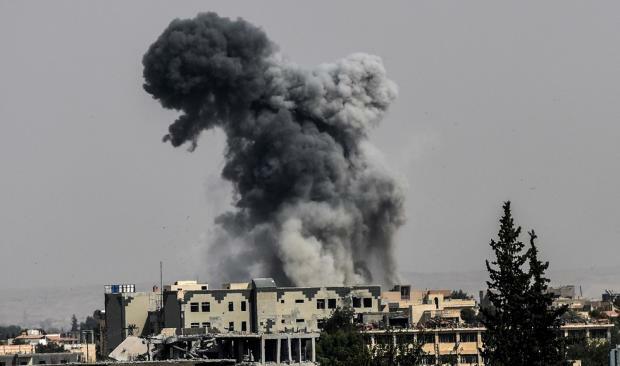 Recent air strikes reported to have killed dozens of civilians increases the urgency to flee. An estimated 18,000 to 25,000 civilians remain trapped in the city according to the UN’s humanitarian agency, OCHA, while over 271,000 have been displaced since Operation Euphrates Wrath’ began in November 2016. Eighteen out of 24 of Raqqa’s villages are completely depopulated. The UN on Thursday called for a pause to the bombings to allow civilians to leave. A statement by Save the Children details the risks faced by those who remain in Raqqa, from the violence of the conflict itself, to forced reallocation from one IS-run district to another, and the shortage of fresh food and water. The other day ISIS beheaded people and left their bodies on the ground … I wanted to sleep but I couldn’t when I remembered what I saw. Only two neighbourhoods in Raqqa have functioning food markets, with residents often relying on rations and food supplies previously stored. Drinking water pumped from boreholes has reportedly caused sickness among the majority of the city’s population. The majority of those who remain in the city have become sick, with illnesses attributed to contaminated water pumped from boreholes. Electricity is only accessible for two to six hours a day in five of the six remaining populated neighbourhoods. Mines, air strikes, sniper fire, indirect fire and family separation pose restrictions on those aiming to leave, the NGO says. Children remain especially vulnerable to landmines and improvised explosive devices (IEDs), as well as psychological trauma. While many of those who have left have voiced a wish to return to Raqqa, civilian returns have yet to be observed, and are not expected to occur until the conflict ends and mines are cleared. Many now reside in surrounding refugee camps. Raqqa’s children describe lives of unthinkable brutality, having witnessed executions and bombs as a routine part of life. “The other day ISIS beheaded people and left their bodies on the ground. We saw this and I couldn’t handle it. I wanted to sleep but I couldn’t when I remembered what I saw. And I wouldn’t sleep, I would stay awake because of how scared I was. 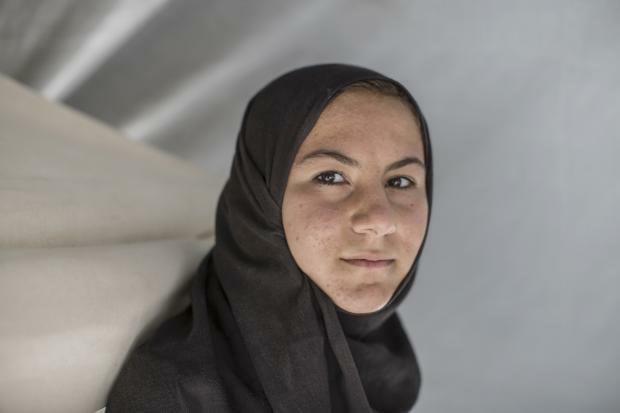 Now I sleep normally because no one is getting beheaded here,” said 13-year-old Rashida. Parks and other public spaces in the city have been turned into execution grounds, littered with severed heads and decomposing bodies, added Save the Children. In addition, recent reports of air strikes killing dozens of civilians means families are facing an impossible decision: stay and risk being bombed or leave and risk being shot at by IS or stepping on a landmine. “If a woman does something wrong, ISIS will stone her with stones. And if someone smokes, the fingers of the hand he used to smoke are cut off. There is someone, I don’t know what he said, but they sewed his mouth. He said something about ISIS and they sewed his mouth! And while they were whipping him, blood came out of his mouth. Poor man,” said 13-year-old Farida. Opportunities have been stripped away from children. Many are cooped up inside their homes for months on end, unable to attend school or play in child-friendly spaces. “The life of children… there are no children anymore… there is nothing called ‘children’ anymore, we are all in a living hell now… Children have forgotten about their childhood. First of all there are no schools anymore, no toys and even if the children want to go to school they are going to be taught about how to fight and the basics of Islam but there is no actual education,” said Aoun, Rashida’s father. The children have suffered psychological scars, which Save the Children warned could take years, or even decades to heal. “Children must be able to leave Raqqa without fear of violence or death, or being forced to walk for days through minefields to reach safety,” said Sonia Khush, Syria Country Director at Save the Children. “Raqqa’s children might look normal on the outside but inside, many are tormented by what they’ve seen. The children of Raqqa didn’t ask for the nightmares and memories of seeing loved ones die right in front of them. We risk condemning a generation of children to a lifetime of suffering unless their mental health needs are addressed,” added Khush. Save the Children stressed the need for safe access for civilians from air strikes or being used human shields by IS. Protecting children caught up in the horrors of war is a priority. It calls on international donors to urgently and significantly increase support for mental health and psychological care. Another study by Save the Children in July showed the impact the Mosul conflict had on children. Every child displayed signs of “toxic stress” – a dangerous level of stress where the body is constantly in “fight or flight” mode. Ninety percent have lost loved ones – through death, separation during travels, or abduction, and most suffer from nightmares. “Children are left numb and emotionless,” the study added. When the children were asked to play a game where they could put anything they did not want into a ‘magic bag’, either an item or something about themselves, they frequently chose war, weapons, sadness and IS. When asked to take an item out of the bag to make them feel better, the children often had difficulty answering. Those that did mostly chose “happiness” and lost loved ones. Please click here to donate to Save the Children’s Syria Crisis Appeal.